Ireland is a spectacularly beautiful and green country awash with amazing locations to get down on one knee and ask those four words. We have tried to narrow it down to 10 of the most romantic places to propose in on the Emerald Isle with beautiful backdrops that will make for beautiful proposal photos. This is a must-read for anyone planning on proposing here! The Garden of Ireland (Wicklow) hosts some of the most beautiful landscapes in Ireland that make for the perfect proposal location. 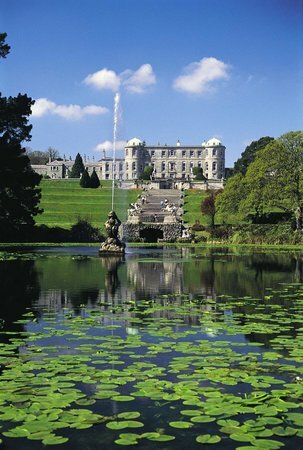 Powerscourt has two amazing locations in one with the beautiful Powerscourt house and gardens as well as the ever popular Powerscourt Waterfall. Both locations provide a wide selection of places to get down on one knee, whether you want to propose in the middle of the garden or in the romantic shade of an ancient tree. The Powercourt Hotel is also a fantastic luxurious hotel to retire to post-proposal and celebrate in style. The Cliffs of Moher are one of Ireland's top tourist destinations due to their spectacular coastal views which provide an amazing backdrop for a Romantic Proposal. Part of the beauty of the Cliffs of Moher is that they are the gateway to many more places of interest along the Wild Atlantic Way, which is full og beauty, wonder and historical importance in Clare, so be sure to leave enough time to explore. Dromoland Castle Hotel is under an hour's drive from the Cliffs of Moher and what better way to treat your Princess or Prince post Proposal than in a luxurious Castle. The Giant’s Causeway in county Antrim is another highly popular tourist destination. If you are considering proposing here you’ll have to choose your timing carefully to avoid the crowds. However, it is a beautiful place for a marriage proposal with the magical backdrop of the unusual hexagonal shaped pillars of rock climbing out from the sea. You can learn all about the the mythology of the Giants Causeway in the Visitor Centre and how the Giant Fionn MacCumhaill (Finn McCool) built the causeway in order to fight a Scottish Giant. Behind every great Giant is a great Giantess and Finn's Wife Oonagh's quick thinking avoided the conflict. Not the most romantic of stories but who doesn't love a good story. Accessible from Dublin via the dart-line, Bray is a beautiful seaside resort that is well worth a visit. The promenade makes for a lovely romantic walk with plenty of ice cream options, which leads to the foot of Bray Head. You can climb to the top in around 30 minutes and experience breathtaking views of Bray as well as the nearby Greystones, Killiney and Dalkey, ideal for a Mountain-top Proposal. There are lots of quiet areas at the top that are ideal for a proposal and we would suggest having a picnic at the top to celebrate! You can also take the Cliff Walk to Greystones which is a beautiful coastal trail. When in Greystones you can visit the famous Happy Pear for some lunch and coffee before taking the Dart back to Dublin. Inchydoney Island and Spa in Clonakilty is a fantastic location for a proposal with its beach view rooms that are ideal for a room set up proposal. The hotel is right on the beach that stretches for miles and is just perfect for an uninterrupted private beach proposal. You can celebrate your engagement in the Gulfstream Restaurant with panoramic views of the Atlantic Ocean or relax in the Island Spa at Inchydoney, home to Ireland's first Seawater Spa offering a unique experience in Seawater Therapies as well more traditional Spa Treatments and Rituals. Galway is a very romantic city full of charm and is perfect for romantic proposals. Salthill provides a great proposal location with a variety of restaurants and cafés dotted along the promenade to grab a bite to eat before you get down on one knee. 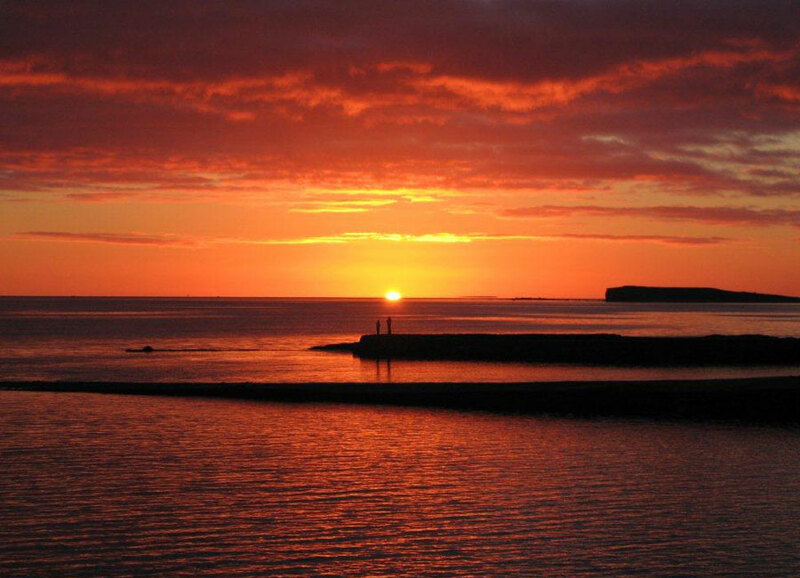 Take a stroll along the beautiful promenade and watch the sun set on Galway Bay providing a beautiful background for a romantic proposal. You can then celebrate your engagement in some of Galway city's uniquely traditional pubs. The Ice-House Hotel in Ballina, County Mayo is situated on the River Moy with Riverside rooms overhanging the river boasting floor to ceiling windows, complete privacy and spectacular views. The hotel rooms are modern and stunning and the spa is equally impressive. The Spa has two luxurious outdoor heated hot tubs overhanging the river that would make for a super romantic proposal location. You can order some champagne from the bar to toast the engagement in style. We celebrated our anniversary here and absolutely loved it! We also love to travel abroad to capture Romantic Proposals, so if you are planning on proposing overseas drop us an email and we would be delighted to assist you and provide a quote.